EmpireCLS Worldwide Chauffeured Services announced a new partnership with etouches, a global provider of cloud event management software and sourcing solutions. 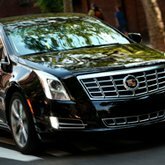 The partnership, according to the companies, will enable meeting and event professionals to arrange luxury transportation services to and from their meetings and events. David Seelinger, CEO of EmpireCLS, said the partnership “adds to etouches’ end-to-end solution with the various integrations EmpireCLS has in place.” EmpireCLS provides transportation services for hotel brands, meetings, events and travelers in more than 700 cities. Etouches’ platform focuses on event sourcing, registration, marketing, logistics, engagement, mobile and data analytics for more than 1,300 customers, according to the company.